Love bread? This one is for you! Take a look at those whole grains! In the age of busy lives and jammed packed schedules it can be hard to find time to prepare healthy, wholesome meals for you and your family. I am not usually a fan of convenience, prepared “fast” food, but I have a great product to share with you that will not only make dinner a bit easier, but it will also provide the nourishment from whole, healthy foods that your body needs. If you are a Texan you are familiar with HEB, the dominant grocery store chain here. They carry some pretty healthy store brand items that are easy to prepare and are well balanced too. 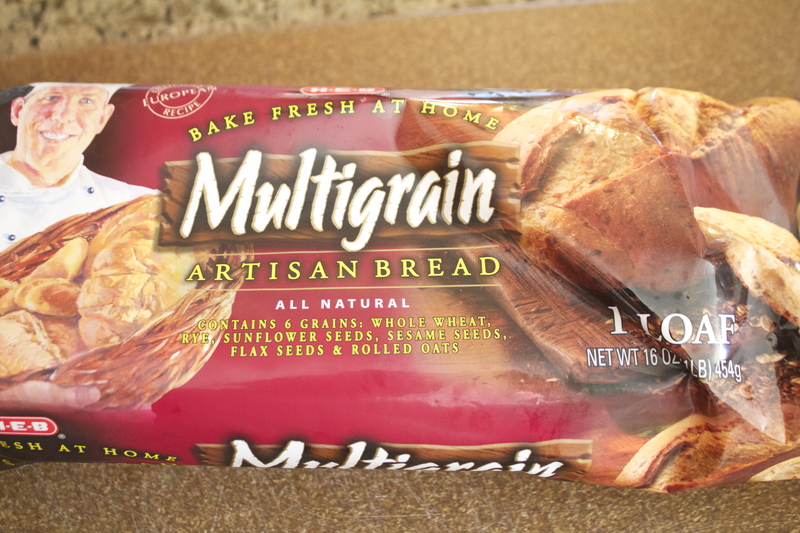 Next time pick up a loaf of this Multi-grain Bread in the freezer isle. 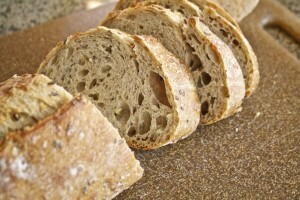 It is MULTI-GRAIN and has plenty of fiber and nutrients, thanks to the seeds, including flax. This is a great staple item to keep in the freezer, preparation is easy, and a wonderful whole grain option. A much better choice than the traditional french loaf bread that is comprised of processed white flour and lacking the fiber and whole grain nutrients to help fuel your body. Toast a piece and spread some hummus on it, served with chicken and unlimited veggies and you had an awesome well-balanced meal. This loaf is also works great with grilled cheese sandwiches, served along side homemade tomato soup. Yum! 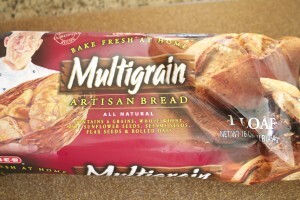 Thanks to this whole grain bread find, I am hopeful that packaged, convenience food is moving in the right direction. Getting healthier, heartier, and full of nutrients.